Aaron Sprinkle released his 5th solo album last Friday, titled Real Life. A couple days and a half a dozen full listens in, I sadly don't like it--at all. 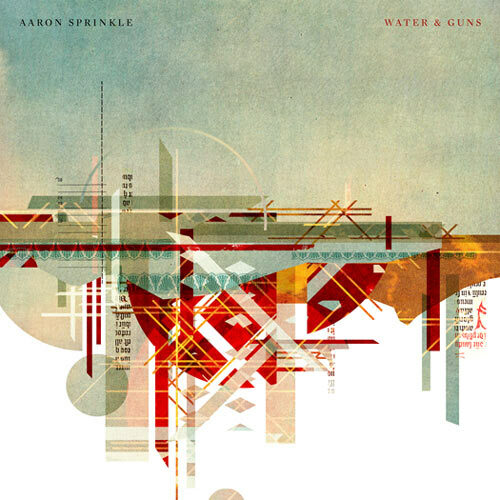 It's a strange situation I find myself in, because I am one of the few who has been listening to and loving Aaron Sprinkle for now a full 25 years, and have always liked his work. I knew him as a guitarist first, then frontman, then solo artist, then producer. From what I can tell, most of his fans in 2017 discovered him as a producer first, which led to finding his solo work, and then his other bands. Also, from what I can tell, most of his fans in 2017 are digging Real Life, unlike me. 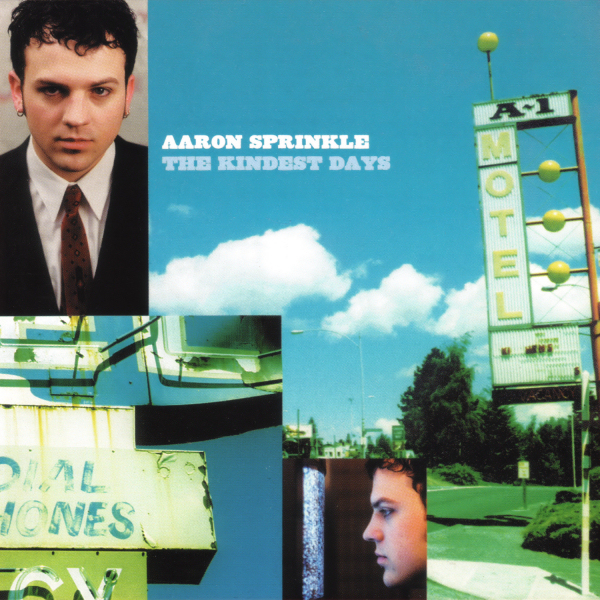 I hope Real Life grows on me, but even if if doesn't, I have 25 years worth of Aaron Sprinkle songs I adore. If you add up his solo albums and his bands Poor Old Lu, Rose Blossom Punch, Fair, and Blank Books, I have well over 200 songs Aaron has written or co-written in my library. Much of my dislike for this new album is stylistic, because I am a primarily a fan of guitar-based rock and folk songs, and generally don't enjoy much electronic programming and synthesizers, which is what this album is written around. I can't place it on style alone though, because I enjoy David Bazan's most recent two electronic LPs (also with a guitar-based background I prefer), and I LOVE LOVE LOVE Chvrches. Paste says, "On some tracks, Sprinkle even plays around with his own vocals, running them through spaciously echoed or mechanized effects until they become a new component to playfully employ against their original source. It’s rare to see so much growth and transformation from an artist contained within one single album, but that engaged struggle for forward progress is what real life and Real Life is all about." I don't see this so much as growth, but more as a misstep or failed experiment. If you love electro-pop and dance music however, your feelings might be the opposite of mine. Also, I love Aaron's vocals so much, and he is able to do so many things with them. His voice is multiple-dimensioned, and depending on what part of his catalog you listen to, it can sound radically different, sometimes within the context of a single song. Also, his harmonizing with himself over the years is awesome and powerful. But with Real Life, the ways he has processed and manipulated his vocals I find irritating and bothersome. 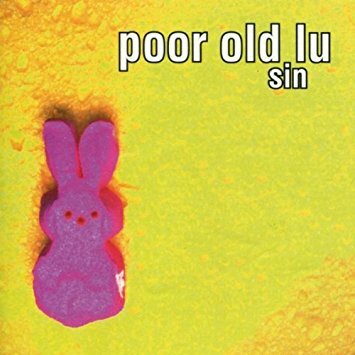 My love for Aaron Sprinkle's music of course began with Poor Old Lu, who is my co-favorite band of all time. 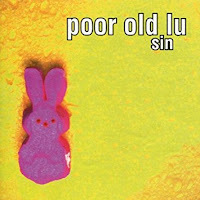 Aaron played guitar and sang bgv's for Poor Old Lu, a very collaborative band in which the songs were co-written by he, his brother and drummer Jesse Sprinkle, bass player Nick Barber, and lead singer Scott Hunter. I could very easily write a book about Poor Old Lu, but I won't. It is important to make clear though that as much I love Aaron's solo work and as the frontman of other bands, I love 90% of Poor Old Lu songs more than any of his stuff outside that band. (At some point I might do a Poor Old Lu top 25 list, but I would only be narrowing it down from around 60 original songs they released in about a decade). 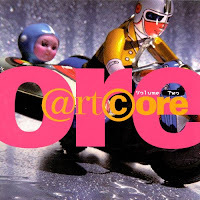 I considered including the only Poor Old Lu song he sings lead on ("Ring True") in my top 25 list, but I am going to leave it out, because those words were written by Scott Hunter. So each of the 25 songs below the words and music (well, at least most of the music) was written by Aaron himself. I did include Poor Old Lu albums though in my top 10 LP list at the end of this post. When Poor Old Lu first parted ways, Aaron immediately jumped in and fronted his next band, Rose Blossom Punch (which contained Lu bass player Nick Barber). When that band broke up after one LP and one EP, he recorded and released three largely acoustic solo albums in three years. 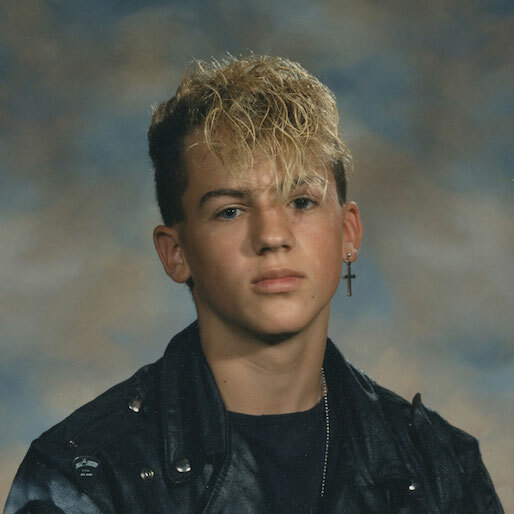 A few years later Aaron then formed another rock band, Fair, which also featured Barber. 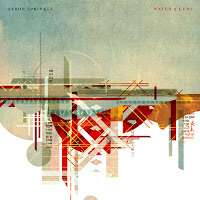 When Fair parted ways after two albums Aaron began his stylistic shift; after two decades of rock Aaron's 4th solo album was his electronic pop debut, 2013's Water and Guns. Before I jump into the top 25 my final comment is that Aaron has recorded some great covers over the years, and my favorite of those is a fun version of the Beach Boys' "I Know There's an Answer/ Hang on to your Ego". Of the 20 songs Aaron wrote for his two recent electro-pop albums, Aaron nailed it on this song. Super-catchy; you won't be able to get it out of your head. Invisible Creature did a terrific job with the packaging and cover for this album. Right now the only song from Aaron's "new era" that grabs me in any way. If you wished this album existed on vinyl I can tell you who to blame for it not being pressed; ME. 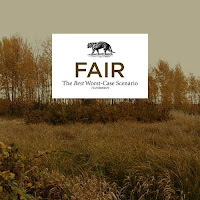 I was in talks with Fair guitarist Erick Newbill about putting it out. They wanted to release it on vinyl, but Tooth & Nail wouldn't do it. I actually formed my own non-profit record label with assistance of a lawyer, and we had a plan that the profits from sales would go to benefit a cause. Erick and I had done all the planning and were working on the details, but I never went through because I was going to need to personally front the money, and I was unable and unwilling. At the time I was unaware of Kickstarter and crowdfunding wasn't yet "in." A year or two later I would have moved forward and used Kickstarter to raise the money needed to press the vinyl. The timing sadly wasn't right. The Kindest Days is my least favorite of the the three solo albums in three years. However, I love the bookends of this album, and this is the lead track. Aaron has used piano prolifically throughout his career, but at the time this album was released, he had not (except as a sparse background instrument), so this was the first time we heard it as the primary instrument in his music. The song starts with just Aaron's voice and piano, but then explodes in the middle with bass, drums, and an electric guitar solo. Comartian did an interesting video series of Aaron a few years ago; both interview segments and live performances. The video below is from this. There is also a "rare" 2003 Aaron Sprinkle live album with this same name. As much as I prefer it when Aaron is in full out rock mode, sometimes there is nothing better than just his voice and acoustic guitar. 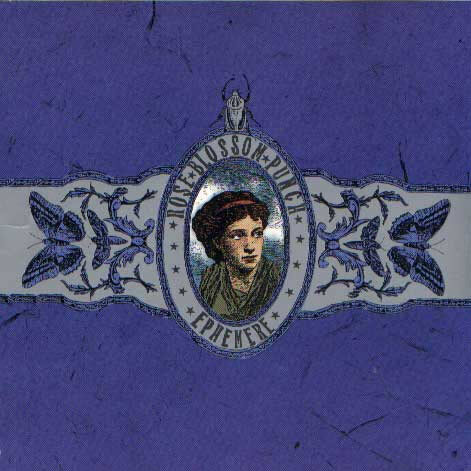 This EP is probably the rarest of all of Aaron's music, and was released very late as a CD by a random MP3 website (I am blanking on the name, and my CD is in a box on the other side of the Atlantic). 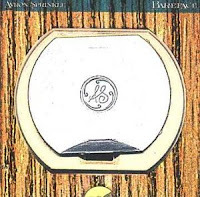 The cover was the only original part of the artwork, as the rest of the packaging was generic and appeared to be the same for everything that website issued. 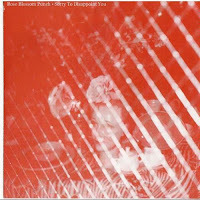 The song "Sleepily" also appears on the only Rose Blossom Punch vinyl, a 7". I order most of my vinyl through the mail, and thankfully this is the only time in two decades I have had a record damaged in the mail; it was completely shattered. Thankfully I was able to buy another copy of it a few years ago. There is also no artwork for the 7", just a white paper sleeve covered in stamps by hand. I mentioned Erick Newbill above, and I will again, because Erick did write a lot of the music on the Fair albums. While Aaron always sings lead, Erick bgv's are prominent, as is his excellent guitar work. Erick has his own band Subways on the Sun, which is finalizing their second album, and also features the bass playing of Nick Barber. Their first is called The Honeymoon Stagecoach and was released in 2013. Erick also fronted the band Wes Dando back around the time Aaron was first doing solo albums. I think this may have been the "radio single" from the debut Rose Blossom Punch album. 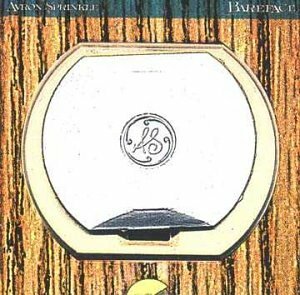 Now, whether or not it was actually played on the radio...the only thing I know for sure is that I personally played it on my radio show: the B.A.Zone on WVSU 91.1 in Birmingham, Alabama. Music videos rarely impact me, and I find them largely forgettable. But this live studio recording of this song is spectacular; the camera work really bring out the best in the band. This album as a whole was largely disappointing compared to the first Fair LP, but this song is one of the highlights. Aaron sequences his albums well, and the album closers are frequently the highlights. On this solo album the closer is the strongest track on the LP. It begins with a swirling electric guitar line, adding Aaron's quiet vocal, and then becoming a fleshed-out, multilayered track highlighted by a guitar solo and unique harmonies. 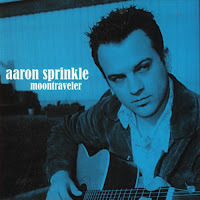 Moontraveler was our introduction to quiet, contemplative Aaron Sprinkle music. This song's second half was unlike anything Aaron had ever done, with the primary instrument being chimes and then moving into a strong bridge with electric strings. I won't escape the feeling, for confidently dreaming of you, my love"
The Really Something EP contained six songs, two of which are the original version (that later appeared on Bareface) and another acoustic version of the title track. Surprisingly, I never "really" liked this song that ended up as the lead track on Bareface. This EP also contained a cover of the Cure's "Letter to Elise", a Rose Blossom Punch "cover" I discuss below (#8), and "The Patron", probably the most popular track from Bareface. The sixth and final track is "All That's Left of Me", a long acoustic track that didn't make the Bareface album. The song is simple, but I love the standalone acoustic guitar work. Bareface as a whole is much fuller and orchestrated than Aaron's first two solo albums, but this song is largely an exception with simple acoustic guitar picking and vocals. It is eventually highlighted by pedal steel and Aaron harmonizing with himself (which he does extraordinarily well). Seven or eight years into his career, this song was missing something every Aaron Sprinkle song had up until this point: drums. There is no percussion, and also no bass. So it was fairly radical at the time, being almost entirely acoustic guitar; but with multiple tracks of it at the end. One of the best parts about Ephemere is Aaron's production and the use of left and right speakers. I noticed the left and right differences more on this album than ever had in my life up until this point. 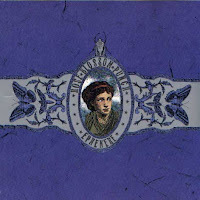 Ephemere is a radically different album with headphones on. On "Confused" specifically the song begins with percussion and guitar on the right, and then Aaron's vocals on the left. About 25 seconds in the rest of the instruments kick in and Aaron's vocals move right to the center. Invisible Creature, the design firm founded and led by Don and Ryan Clark (Demon Hunter, Training for Utopia, etc.) 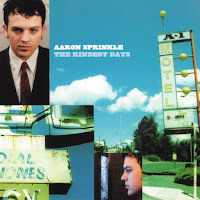 has designed much of (maybe most of) Aaron Sprinkle's album artwork over the last 20 years. Most notably is the packaging for the 2006 Fair album, as it was nominated for a Grammy in the "Best Recording Package" category. You can see some of the packaging here, but one thing you can't see except holding in your hand is the stunning metallic ink used. Back to the song, John Davis (Superdrag) contributes pedal steel and vocals. This is the lone upbeat rock song on Aaron's debut solo album, as the rest of it is fairly quiet folk tunes. Structurally it is not that different than many Rose Blossom Songs, but instrumentally Aaron went in a completely different direction with the use of electronic percussion and a guitar tone never before previously used in his music. On a side note, this song began my obsession with the town Kalispell, Montana ("she was on her way to Kalispell") which culminated in a visit the following year, along with Glacier National Park. The first ever Rose Blossom Punch song appeared on 1995's Artcore Volume 1 comp., but Aaron outdid himself with the second song from what was at the time a "side project". 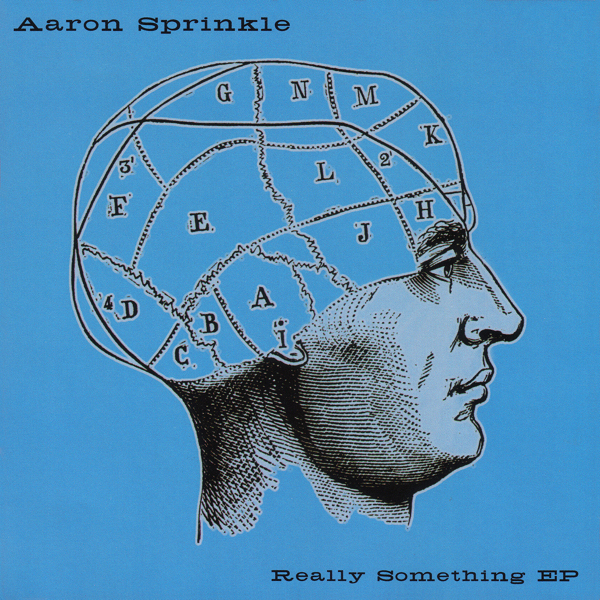 Aaron later re-recorded a solo acoustic version of this song for the 2001 Really Something EP. The production techniques are so unique and diverse on this album, bringing out so many textural elements. I didn't notice it until this week, but this song reminds me a lot of the sounds and tones on Death Cab for Cutie's most recent album Kintsugi; but the Best Worst-Case Scenario was recorded a decade beforehand. The female vocal harmonies from Brynn Sanchez add a lot as well. Probably the most straightforward love song Aaron has ever written. I have an affinity for this track for many reasons, one of which is the line, "Driving through Tennessee", mentioning my home state. Damien Jurado's background vocals also add an interesting twist. Always curious who these lyrics were about, and if it is someone specific. Any theories out there? Do you know now why you've left us out to dry? 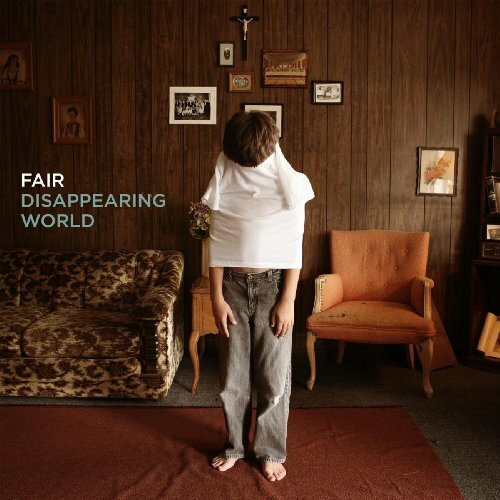 Just remember days go by but so do I"
This is the longest and most epic of the songs on the second Fair album, and that brings out a theme: I feel Aaron is at his best when epic and long, yet he rarely ventures into that territory. Three of my favorite four songs of his are 5:14 or longer, and the best Poor Old Lu songs were also often long ("Rail", "Sickly", "The Waiting Room"). This song is highlighted by a string ensemble and a guitar solo that is reminiscent of an 80's metal ballad (and I love 80's metal ballads). Similar to 1996's Poor Old Lu album opener "Rail", "Cyclone Fence" is once again long, and builds gradually to an explosion of sound. It only took about 45 seconds of the first listen to get me excited about the future of Aaron's music post-Poor Old Lu. Another terrific example of the left-right mixing, with the song opening with guitar on the right, then percussion the left, then piano on the right, until the explosion right in the middle of your head. This song also continues to use the acoustic guitar as a texture in hard rock songs, which is one of my favorite elements of Poor Old Lu. This is the polar opposite of the other three songs in my top four, as it is brief and simple. It is the shortest song on this list by over 30 seconds, clocking in at only 2:26. Also, there are no bells and whistles; once again only acoustic guitar and Aaron's voice. Aaron's vocals have never sounded better and lyrically the song is my favorite he has ever written: "You'll never know, dear, how much you breath strength and courage into me..." Aaron's harmonies with himself are gorgeous, and the song ends with ghostlike a capella "ahhs". This song has everything I love about Aaron's music: layers of guitars, hooks, vocal harmonies, and contributions from multiple talented musicians: Nick Barber on bass, Joey Sanchez on drums, Erick Newbill on guitar and vocals, and with even more vocals from sisters Sherri and Stacy Dupree (Eisley). There are few live videos of Aaron Sprinkle or his bands on the internet, as he practically never performs live. So pretty cool that this video of "Unglued" even exists, as I doubt Fair performed live more than a dozen times. "'Unglued' came together entirely in the studio from a few different sources. The main intro section/riff was written on a day where Aaron was in Studio A working on something else and I was alone in Studio B working on ideas/parts for other stuff. I had thrown my capo on the 6th fret for no good reason (odd choice, never done it before or since) and was just playing chords super loud to try and get inspired for something new. The intro came quickly and I started building off of it. "At some point during the process I remembered these other two demos that I thought might fit with that intro as potential choruses, verses, or something else. The quieter 'speak to me now...' guitar section was definitely from one of those demos, and I think the outro of the song came from the other. So I put all 3 ideas together and it morphed into one song. I was totally unsure of it at first, but it took shape as I started working on the lyrics and final arrangement. I remember wanting to write lyrics and melodies that took Aaron toward the upper part of his range, particularly toward the end. "When we recorded the drums, Joey had this idea of never quite settling into a predictable pattern (which ended up becoming the pattern) for most of the song which moved things in a cool direction. Nick's bass parts and Aaron's key ideas made it all come together ultimately. 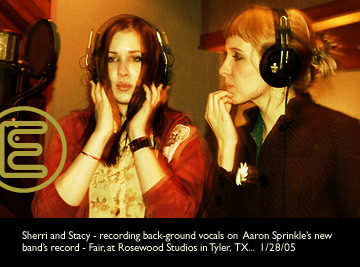 "Aaron had the idea of getting Sherri and Stacy DuPree to sing on it, which was an honor. We had a great time having them join us live on that song several times on tour as well. I remember us playing the almost finished version for Ryan Clark (who designed the artwork) in the studio as one of the initial reference songs for him to get ideas for the final art and packaging."